I brought some treasures home a couple of days ago. 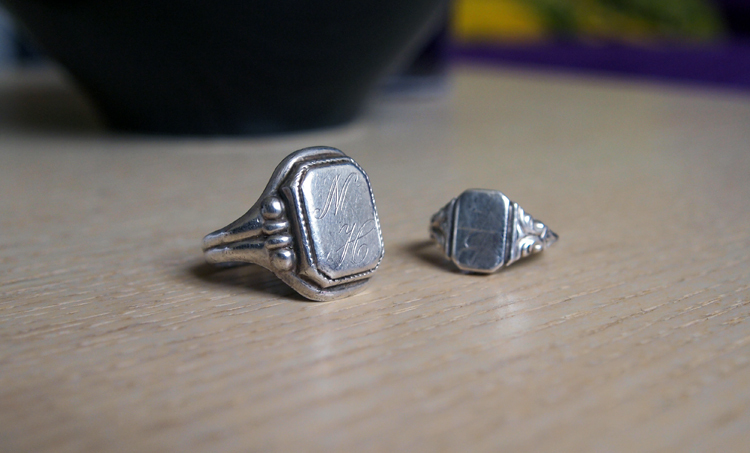 It's two vintage signet rings, and I looove them! I use one on the little finger and one on the index. It's something about stuff with a history. i try to find the perfect ring for me but haven´t found one yet. yours are just great. i think i need something similar. De var veldig fine, det lyser historie av dem lang vei.